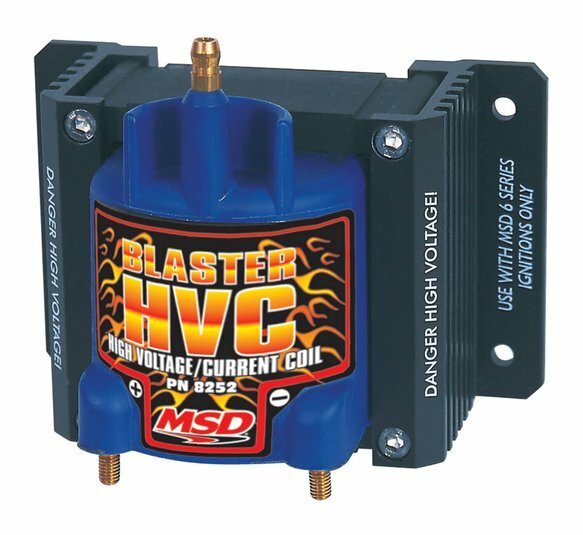 The Blaster HVC is designed for high rpm, long duration applications such as road course and circle track racing using an MSD 6 Series Ignition. Coils have always had to compromise voltage output against current output. More voltage increases the initial ionization of the spark plug gap, but lowers the amount of current, or heat, that follows across the plug gap. When a coil is designed to produce more current, the voltage output generally suffers which taxes the ease of ionizing the gap. 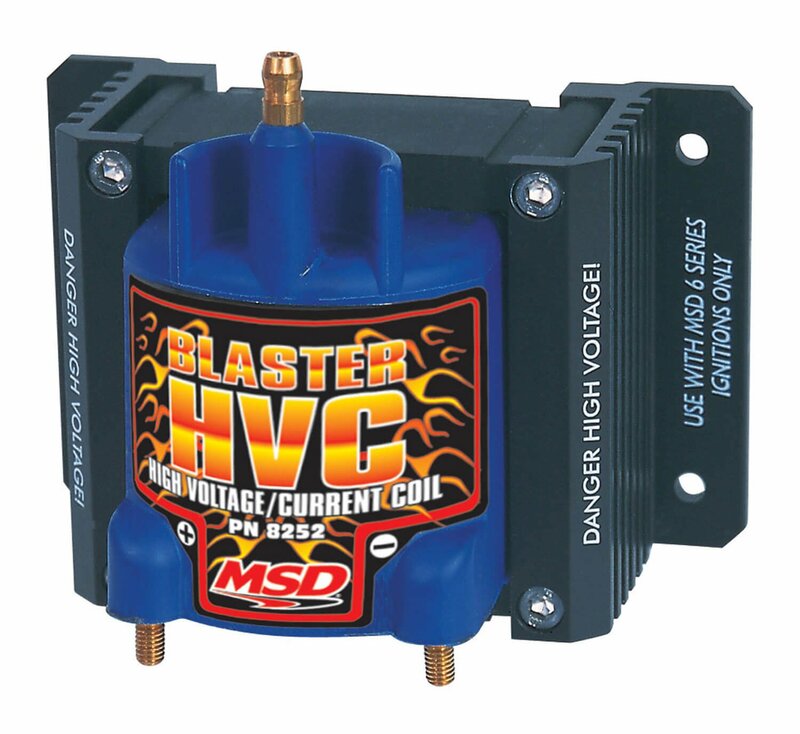 The MSD HVC Coils are designed to produce maximum voltage and energy! To accomplish this combination of high voltage and current MSD uses an E-core winding design. This is a very efficient design where less loss occurs during the transfer of electricity due to the closed core of the coil. Another benefit is that the coils run extremely cool, even at high racing rpm, thanks to the efficient design and huge laminations.